Latin America has suffered more than 2.5m murders since the start of this century and is facing an acute public security crisis that demands urgent and innovative solutions, a new report warns. 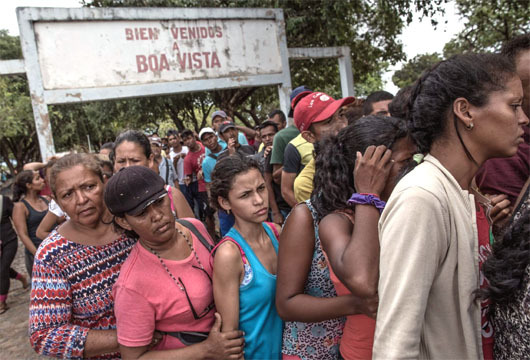 Some 120,000 desperate Venezuelans poured into Colombia over the weekend to buy food and medicine that are in short supply in socialist Venezeula. Lest we already forget what Raúl Castro mentioned months ago: The Communist revolution is basically triumphant because nothing had to change to make America open the floodgates. 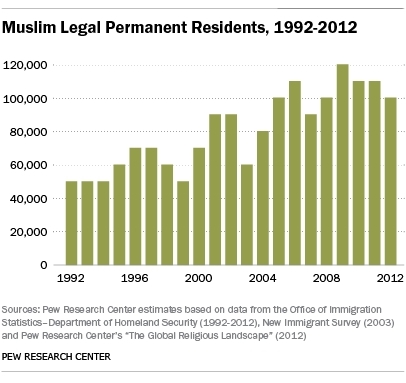 In the facts of history, in this as in so many other instances, Obama is wrong. The answers to these questions are simple. Very little information is available. And there are no guarantees that some very bad apples won’t arrive in your town, says a leading expert on the refugee resettlement program. On March 16, Ann Corcoran, author of the Refugee Resettlement Watch blog, spoke at a national security summit in Columbia, South Carolina, hosted by former Defense Department analyst Frank Gaffney. A few days before that conference, on March 9, a story broke in the local Spartanburg newspaper that World Relief, one of the nine resettlement agencies that works under contract with the federal government, was planning to open an office in Spartanburg. Colombian authorities found a total of 99 Chinese-built missile warheads of unspecified type on 3 March during an inspection of Chinese-flagged merchant vessel Da Dan Xiu at Cartagena. China and Russia arе embarking on a big geopolitical and economic venture of laying in Nicaragua a rival to the USA brainchild, the Panama Canal. This was disclosed to the “Voice of Russia” by Petr Yakovlev, the head of the Center for Iberian Studies, Institute of Latin America, Russian Academy of Sciences. The expert said that Russian companies are holding talks with Chinese partners on how to participate in this strategic project in Latin America. Don’t ever be fooled by articles where the author or someone who was quoted states that Russia has purely economic/commercial interests. The headline alone is questionable because it’s not ‘new’. They are either duped or purposely whitewashing the military threat. Point being, they (along with China) are encircling the United States. Through the documentation of articles here alone under the China or Russia tags and categories, one can clearly see this one case of many points to a bigger picture. They’re not there to fight drugs either, since they’ve already drugged the United States in the first place. 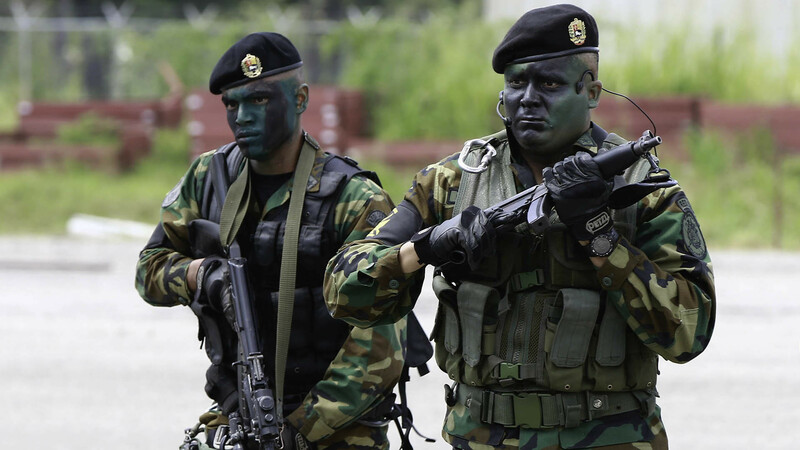 Faced with Colombia’s military strength and apparent resolve not to hand over a disputed swathe of the Caribbean, Nicaragua is inviting friendly Russia into the area. According to Robert Valencia, China is vying for greater economic influence in Latin America, to include possibly constructing and operating an alternative ‘Panama Canal’ through Nicaragua. One unanticipated consequence of this burgeoning US-China rivalry, Valencia observes, is that it might push Latin American countries closer together. Colombia and the North Atlantic Treaty Organization signed an agreement on information security that will allow exploring future cooperation and consultation in areas of common interest. The agreement was signed on Tuesday in Brussels by NATO Secretary General Ambassador Alexander Vershbow and the Defense Minister of Colombia, Juan Carlos Pinzón Bueno. “As an Alliance of democracies, we are gratified when countries sharing similar values reach out to us,” the Deputy Secretary General said during his meeting with Minister Pinzón Bueno. BOGOTA : Colombia’s defense ministry later this month will sign a cooperation agreement with NATO, in hopes of joining the international military alliance, President Juan Manuel Santos said Saturday.